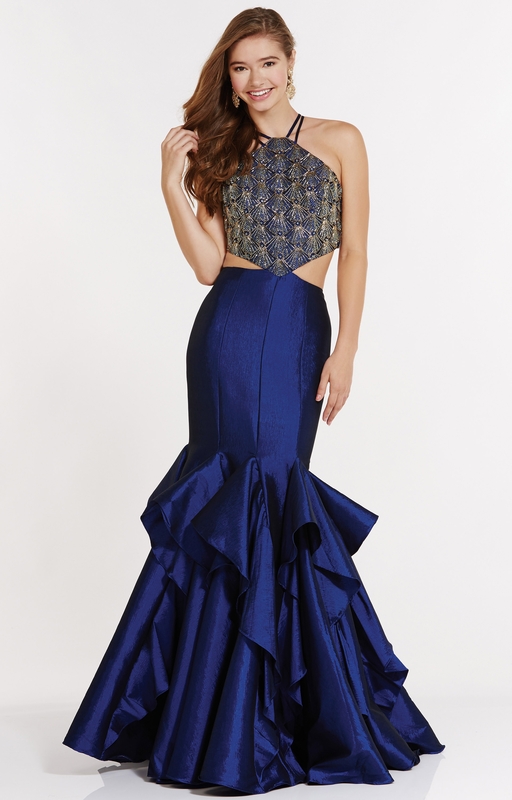 This Alyce Paris 2618 is such a show stopper! This dress has side cutouts and a ruffled mermaid skirt, and is made of a stretch taffeta material! This one will have you as thestar of the show all night!